Growing up, my brothers Zeb, Wyatt and I spent most of our time helping our parents with our family business. Every aspect of the business, we contribute to. From sales to cleaning stumps, logging and running the saw, my bros and I help my parents in their mission to become the best wholesaler of wood, not just in California, but the world. We traveled to a lot of trade shows and many knew us as being the children of Cliff Witt. Little did we know, until we were much older, that our father was a very successful, respected and among the best in the gun and wood industry. Witt Hardwoods was established in 1992 by Cliff and Lori Witt. Recently, the business was featured on National Geographic, Season 2 of Filthy Riches. Starting at the young age of 14 years old, Witt began shadowing his mentor, Bill Emerson. Emerson was very established in the burl, logging and gunstock industry while motivating and educating my father into pursuing his career within the industry. My mother is the backbone of the business. Working alongside my father, the two create magical works of art from wood. Specializing in hardwoods, specifically English Walnut gunstocks, burl wood, California Buckeye Burl, guitar blanks, slabs, knives, duck calls, pistol grips, Witt Hardwoods strives to be the best badass hardwood business in the wood industry. Witt Hardwoods is the definition of a family owned and operated business. Outside of Zeb’s friends, typically no outside help is hired. Junglans Regia, better known as English walnut, is the origin of the California walnut as the early English settlers brought the tree to California in the 1800s. English walnut is dense with an exceptional strong grain, exquisitely rich figure and is unquestionably the most highly prized of the gunstock wood. The process of obtaining and producing a gunstock is long and one that cannot be rushed in order to produce exceptional exhibition grade stocks. Gunstock blanks are defined by grade categories from exhibition grade being the most desired and highest figure and colored, to standard grade displaying good sound, but plain and straight grade blanks. Starting in a 70+ year old walnut grove, each tree is inspected and marked while in the ground in search of finding burl and logs. When the farmer is ready to push the grove, Witt, himself will push the grove with his bulldozer. After pushing, another round of inspection and marking for gunstock logs and overlooked burls proceeds. 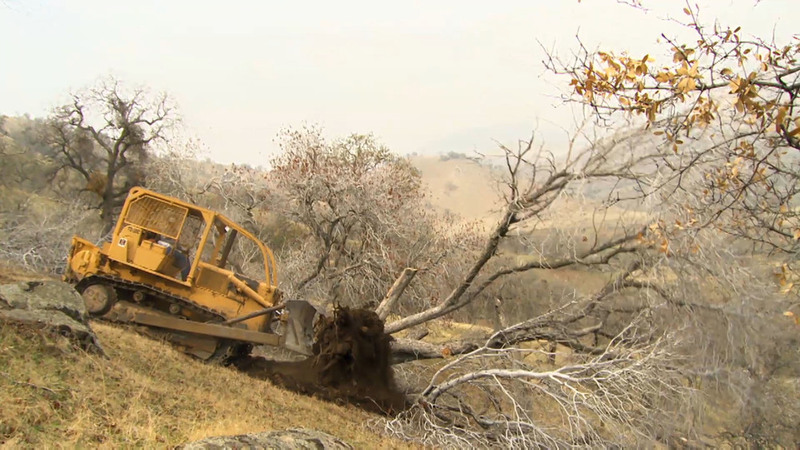 From there, each tree is brought into a landing, which is an area in the grove that is cleared and leveled to clean and trim the burls and logs. Just like animals and humans, each tree is unique in its own characteristics and growth. 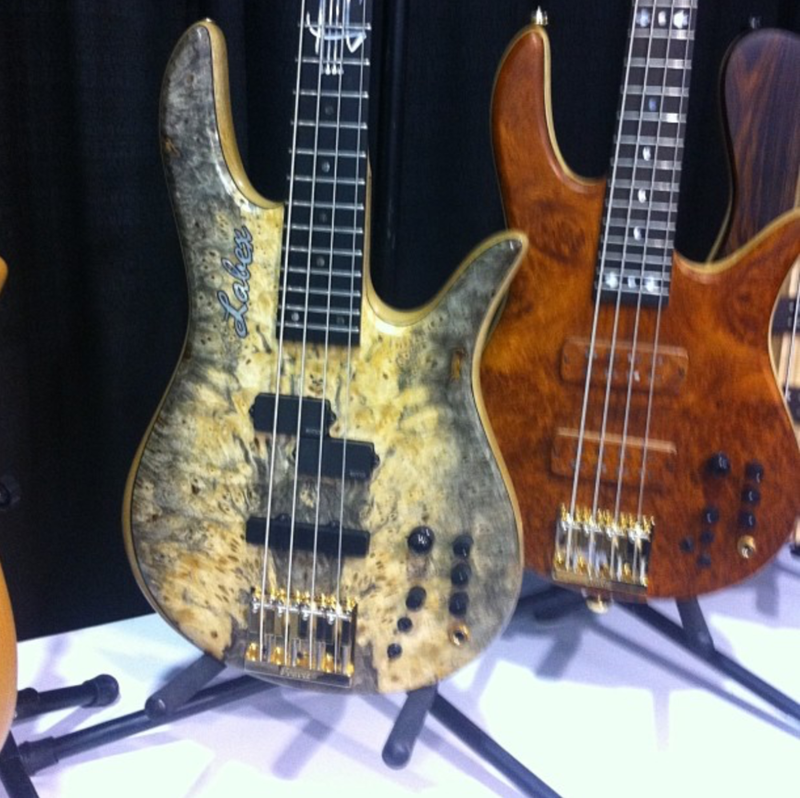 Each gunstock log, gunstock and burl is cut to specifics. 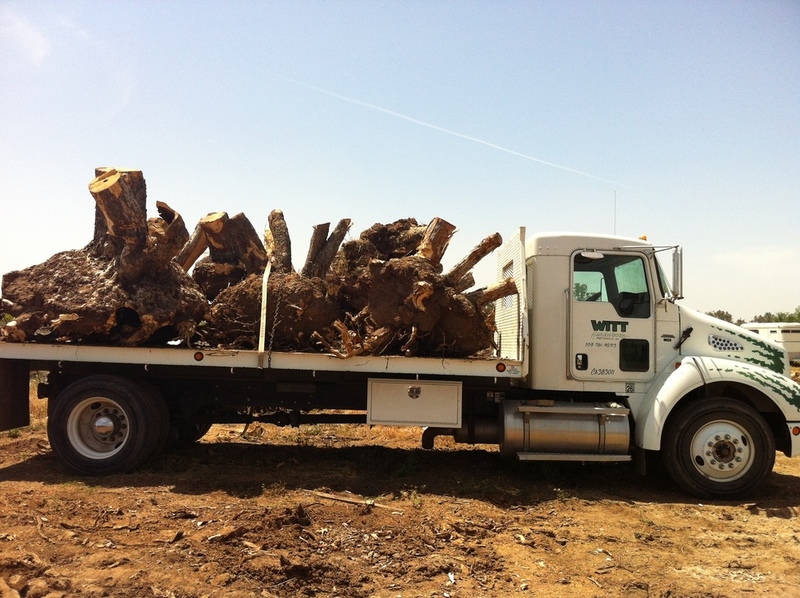 From the grove, the logs are loaded on the truck back to the Witt Hardwood’s yard for layout, cutting, waxing and drying. The burls are cleaned, trimmed, sold to a buyer and shipped overseas for a well-deserved pay day! After the logs are brought to the yard, they then go onto the sawmill for slabbing. All the equipment used is in the yard. The double head rig, circle sawmill was hand built from the ground up by Cliff and Lori. After the slabs are cut to specific thickness, they are taken to the shop to visit the band saw. At this point of the process, it is a very critical and detailed stage. Quality control is of the utmost importance. When laying out gunstocks, each layout is placed looking for the best grain flow to produce to the consumer, the highest quality blank. Bass Pro Shops, Keman Arms, Dakota Arms, and many other major manufacturers and custom gunsmiths are just a few companies that Witt Hardwoods have supplied to. A standard pattern (Plexiglass), which has been customized by Witt, is then laid directly on the slab being cautious and specific in selecting placement in order to cut the highest color, figure and grain. The whole slab is used in cutting blanks, however depending on the grade of the wood, pattern used (shotgun, rifle or Man Licker), and quality of log, quality is much more important than quantity. Typically, every inch of the slab is used after cutting for turning blocks. Every aspect of the w business is organic and respected as every piece of wood and bi-products are used for knife blanks, pistol grips, firewood and even the sawdust is used. Always cautious and conservative of the land and the trees, Witt Hardwoods takes pride in always respecting mother nature. After each stock is cut, the wood is green, which mean it holds moisture. Immediately after cutting, the stocks are hand waxed to prevent splitting/cracking and are stacked for drying. In the drying stages, no kiln or technology is used to speed the drying time. Witt Hardwood stocks are air dried for 5-7 plus years to ensure when the stock is turned, all moisture has evaporated. After 5+ years when the stock is ready to be turned, a moisture meter is used to ensure the stock is completely dried. As Witt Hardwoods is a wholesaler, there is not an in-house blank turner. All stocks are sold in their raw form and are guaranteed. Cliff's experience and expertise come from working in the wood industry 25+ years along with his passion and love for nature, hunting and having a very special talent and gift in a trade very few are even familiar with. With an eye for detail and an ability to view a log and determine the quality, color, and figure, the skills and knowledge he possesses, carries on to his customers. I am proud be the daughter of Cliff and Lori Witt. It’s pretty awesome knowing my father is of the best and a badass wood man!